Yes, I was down in Ennis this week, and they were everywhere. Next year, Mrs. B and I are heading into the Hill Country to see what it's like there. 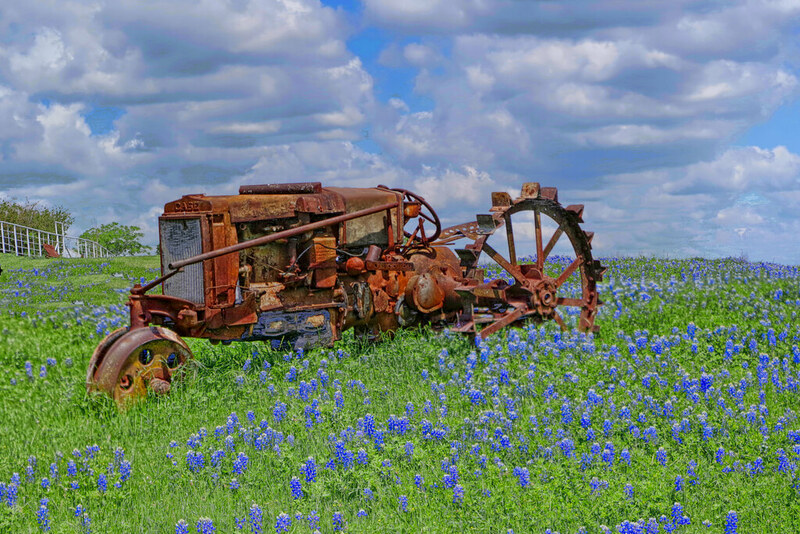 We've started selling images in craft shows, and Texas-oriented images are very popular. 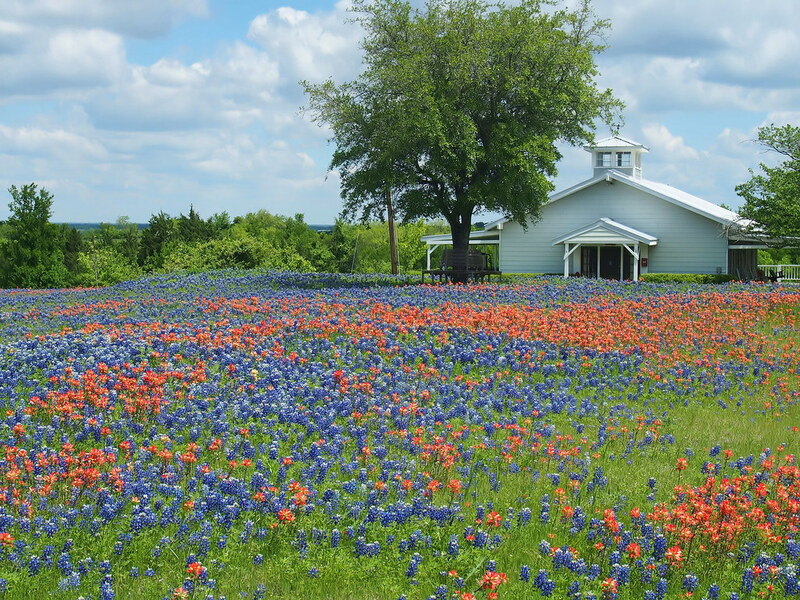 We went to Fredericksburg and Llano area a couple of weeks ago and wild flowers were the best I remember seeing in over 30 years. The weather and moisture etc must have been perfect this year. Some Indian paintbrush, as well... this one is Mrs. Barbarian's image. General Discussion Forum / Re: When did they die? So, what was the first form of life everything else evolved from? A prokaryote. You could accept that it was formed by abiogeneis, as God says in Genesis, or you could imagine that God just created them as Darwin suggested. Doesn't matter to evolutionary theory, which makes no claims about the way life began. So the above is not part of the theory of evolution? Nope. That's abiogenesis, a different theory. Although the non-scientific idea of “intelligent design” and the biblically based idea of “creationism” argue to be explanations for both the origin and the diversity of life on Earth, the theory of biological evolution explains only the diversity of life. Evolution does not include the (origin of life)? There is grandeur in this view of life, with its several powers, having been originally breathed by the Creator into a few forms or into one; and that, whilst this planet has gone cycling on according to the fixed law of gravity, from so simple a beginning endless forms most beautiful and most wonderful have been, and are being evolved. I know, it must be hard, given that so many creationists have assumed otherwise. But you won't find it in Darwin's theory, or any subsequent modification of his theory. You presented him. So there you are. There are a great many disagreements among scientists. I notice that when "scientists who doubt evolution" are trotted out, they are almost never anyone with any background in biology. I think I know why. Notice that your chemist is completely unaware that evolutionary theory isn't about the origin of life. He's not the only one. But show me a biologist who doesn't realize that. Then you'll have a point. I had many mentors throughout the years of my young life take the time to instill great advice and wisdom in me. Whether it was my family, teachers at school, or youth sponsors at church, many took the time to teach me new and important things in life. Their wisdom helped me to understand what really mattered in life. When I would get off-course, they would lovingly nudge me to re-focus where I needed to be. We all have had people, whom we love and appreciate, take the time to steer us in the right direction. We all need people who will care enough to help us understand what really matters. We need proper instructions so that we don’t go off-course. Understanding what really matters is vital to living a life of purpose. We don’t want to forget what matters and live the wrong way. However, so many of us end up going a direction we shouldn’t. Fortunately, we have loving friends and families who will see what’s happening and speak into our lives when we need it most. We have so many different situations in life where we need to understand what is important. What should really matter to us? This is a question we truly need to be faced with every single day. We need to understand what really matters. Paul wanted to make sure that people understood what really mattered. It was to love each other as Christ loved the church. Wow! What would be more important than that? Nothing! Loving one another is what is most important. Jesus Christ gave His life for us so that we could understand what mattered most. As we are celebrating Easter this weekend, we celebrate the greatest love to ever walk this earth. Jesus wanted us to grasp what really matters…Love. He gave us the greatest demonstration and lesson of love. What could be greater? I need to understand what matters most. Every day, I need to be reminded that the way I love my family and others matters more than anything. They need to see God’s love through me. Jesus giving His life for us and being resurrected is the greatest story of love. Do we really understand what matters most? May the love of Christ be all that truly matters in our lives as we seek to share His love with the world. Were Abraham and Moses under the New Covenant? I might humbly ask a question about this if you don't mind. Did Abraham and Moaes have the same covenant? We know Abraham had the Christs statutes, commandments and laws. We know the Christ "added" a law 430 years after Abraham, because of transgressions, "till He came to earth as a man". We know the added "works of the law" were for justification and atonement of sins, until the seed should come. We know Abraham obey God's laws and commandments, but he didn't have this "added" law, he was justified "apart from this law". We know the Christ gave the Levites a Priesthood which was instituted by the Christ for atonement of sins on Mt. Sinai, and this law was given specifically to the Levites. Levi wasn't even born in Abraham's time so we know Abraham didn't have it. So when the Christ promised a new covenant, (not like the one He gave on Mt Sinai), is He not speaking to this "added" law given on Mt Sinai? Are we not now justified by the same Faith in the blood of Christ that justified Abraham? I say this because like the totally depraved doctrine, there is another doctrine which implies that the Word of God which became Flesh, "added" Love God and Love your brother and all that hangs on these two "till the seed should come". But once He has come we are no longer bound by these. I believe the scriptures preach that the "Added law" was the Levitical Priesthood " works of the law" for atonement which were added till the seed should come. I believe there is a modern new covenant teaching, like totally depraved, that is a deception. And that we must have the Faith of Abraham to be born of the Spirit of God. So the covenant God gave to Moses is not the same as the covenant God gave to Abraham, that we are under now. Im not good at explaining my thoughts sometimes, can tou understand what I am saying? Man has been given stewardship of this world, and we are accountable for what we do with it. Page created in 0.204 seconds with 87 queries.